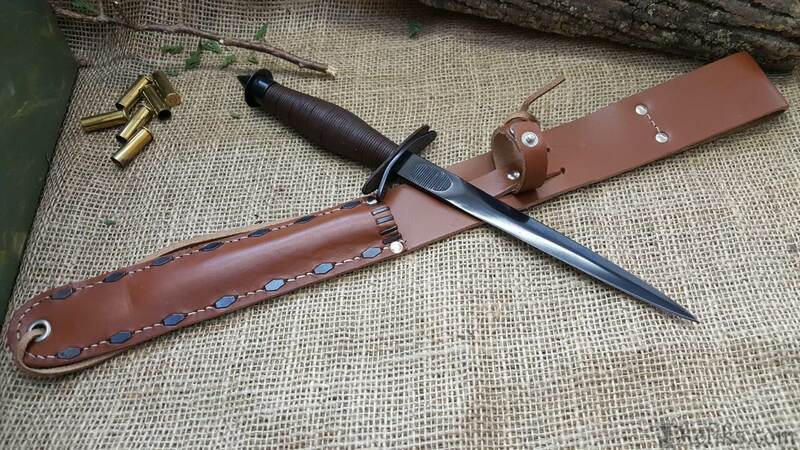 The V42 was a stiletto styled fighting knife based on the popular Fairbairn Sykes and issued during the Second World War to the First Special Service Force or Devil's Brigade, a joint Canadian/American commando unit. Originals are very scarce, but this faithful, collector quality reproduction is razor sharp and battle ready. Features 1095 high carbon blued steel double edged blade (both edges are razor sharp). Grooved thumb rest in the ricasso for improved control when thrusting, pointed steel skull crusher pommel. Leather washer grip with leather cross guard buffer (the leather buffer was only attached through the tang, it was not attached to the back of the cross guard). 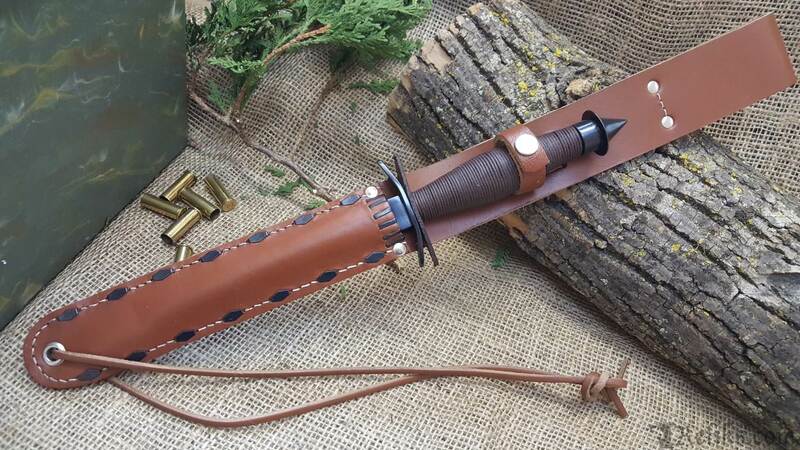 Comes with low-ride top grain leather scabbard with steel reinforcing, fits belts up to 3" wide, and leather leg thong. Made by Windlass Steelcrafts®. 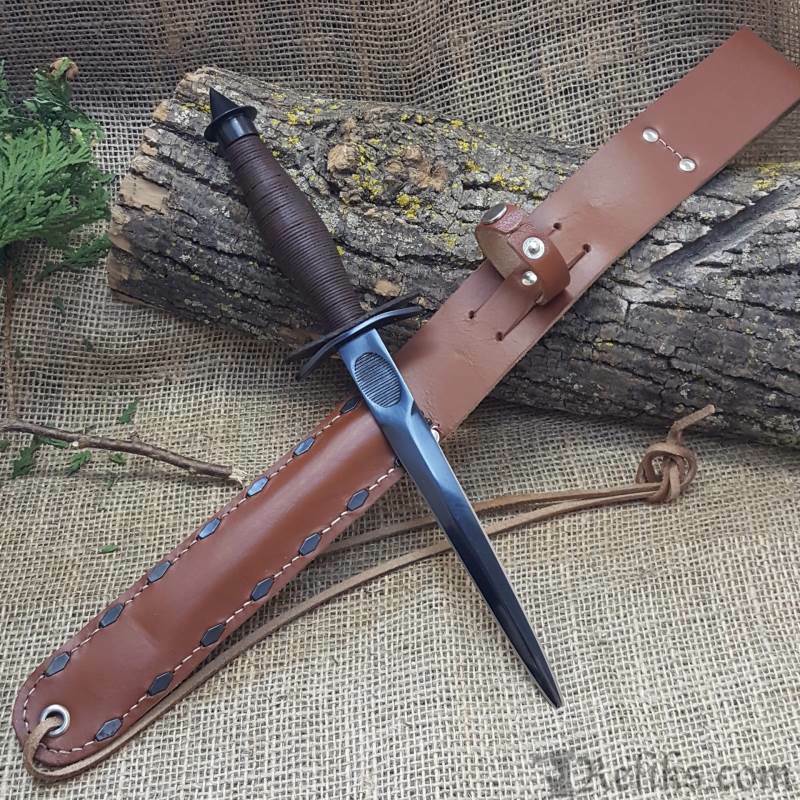 Devils Brigade Stiletto - The V42 was a stiletto styled fighting knife based on the popular Fairbairn Sykes and issued during the Second World War to the First Special Service Force or Devil's Brigade, a joint Canadian/American commando unit. 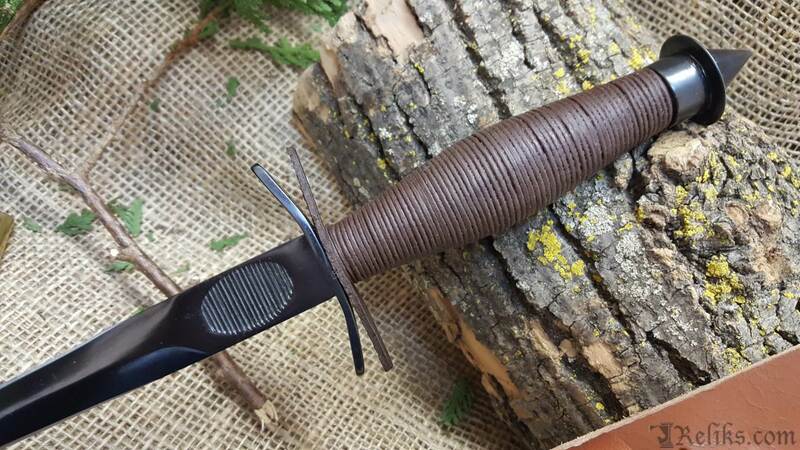 Wwii V 42 Elite Ranger Knife - Originals are very scarce, but this faithful, collector quality reproduction is razor sharp and battle ready. 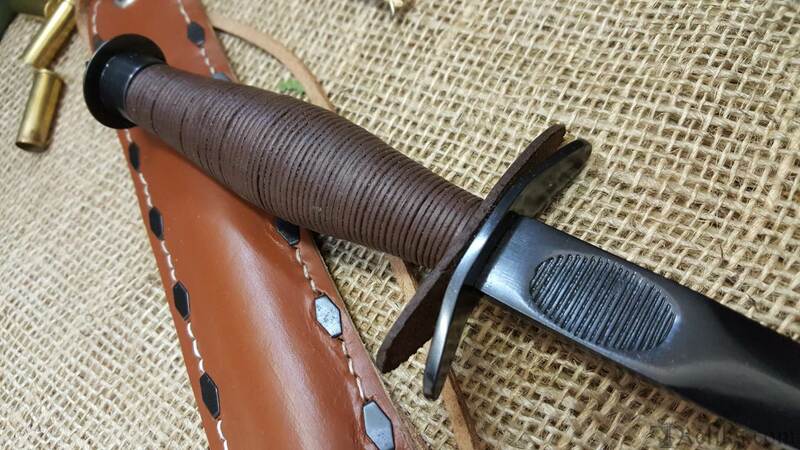 Commando Knife - This knife is a replica of the specially designed V-42 combat knife given to Devil’s Brigade members as part of their extensive combat training. V 42 Knife Sheath - Comes with low-ride top grain leather scabbard with steel reinforcing, fits belts up to 3" wide, and leather leg thong. 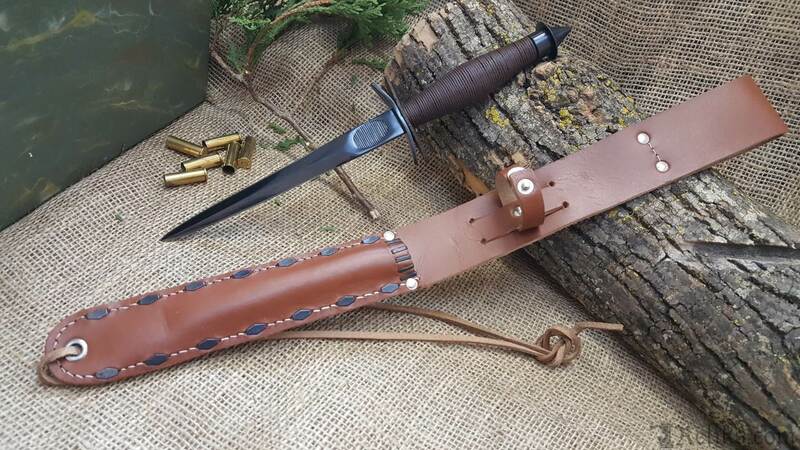 V42 Knife Handle - Leather washer grip with leather cross guard buffer (the leather buffer was only attached through the tang, it was not attached to the back of the cross guard). 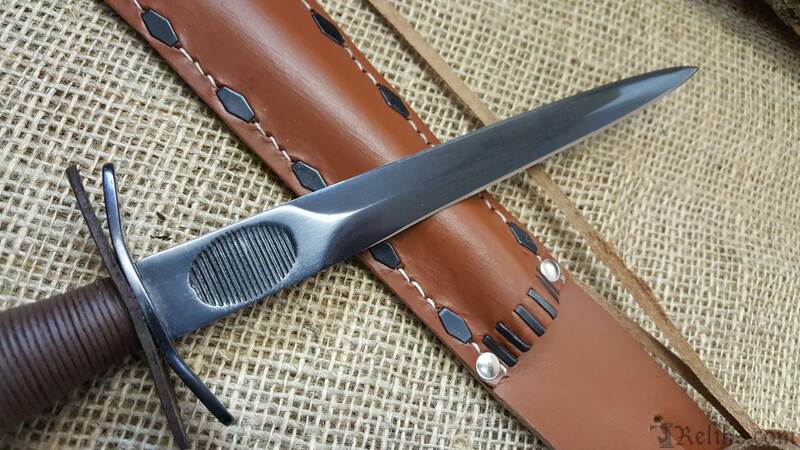 V42 Knife Blade - Features 1095 high carbon blued steel double edged blade (both edges are razor sharp). Grooved Thumb Rest - Grooved thumb rest in the ricasso for improved control when thrusting, pointed steel skull crusher pommel. Reliks Response - The clasp will loosen with use, they are very tight on new knives until the leather breaks in.